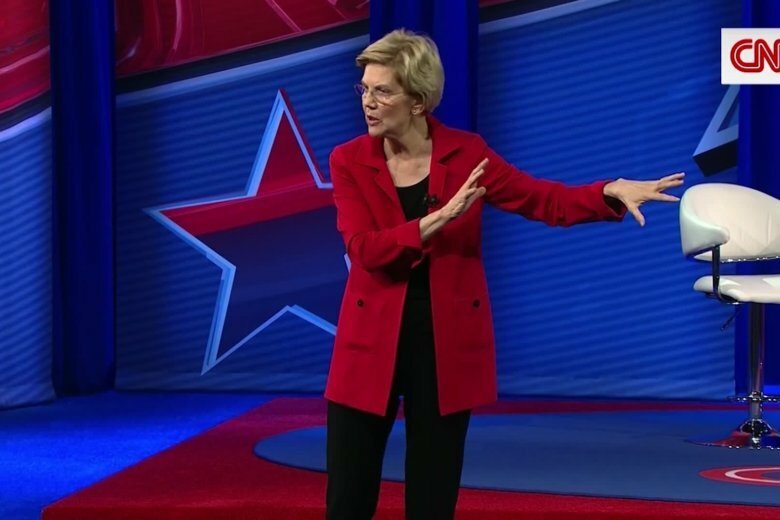 Massachusetts Sen. Elizabeth Warren is seen here at a CNN town hall on March 18, 2019. For the first time, Warren said that she would back a plan to do away with the Electoral College. The policy-fluent Massachusetts Democrat zipped through her thick suite of legislative and regulatory proposals for a CNN town hall audience in Jackson, Mississippi, on Monday. Sen. Elizabeth Warren has a plan — for just about everything.